Bing Internships are available to students who are studying technology and pursuing a career in the technical field. 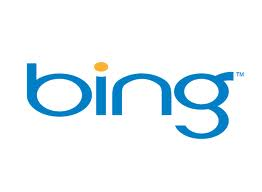 The internships are offered by Microsoft, the producer of the Bing web search engine. Positions are available across the U.S. and international in a wide range of skills. Software development interns are in demand to work on further developing the Bing search engine. Students must be at the top of their game as they will be part of a diverse team raising the bar on product quality and efficiency. Interns at Microsoft must have a passion for technology. It is a diverse environment where everyone's viewpoint matters. Interns will work with experienced professionals and become part of a team of highly trained individuals from all regions of the world. Internships at Microsoft are paid. In addition, interns will find the work experience provides an exceptional opportunity to learn from the largest technology company in the world and form contacts with other interns and experienced employees. An internship at Microsoft can also lead to a full-time career after graduation.